Summary: The Pebble Mine project in Alaska is a critical part of any plan to restore the nation’s independence with regard to strategic minerals. Yet the Environmental Protection Agency, allied with environmentalist groups, has worked to block the project, even resorting to the creation of an imaginary mine, real enough for bureaucrats’ purposes. 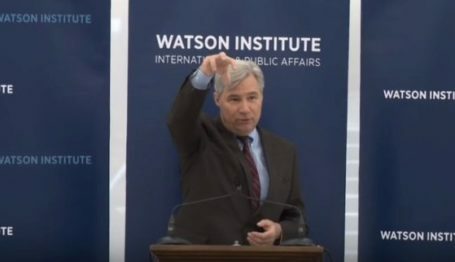 It’s a story of intrigue, overreach, and unethical behavior by government officials who are supposed to be serving the interests of the American people. 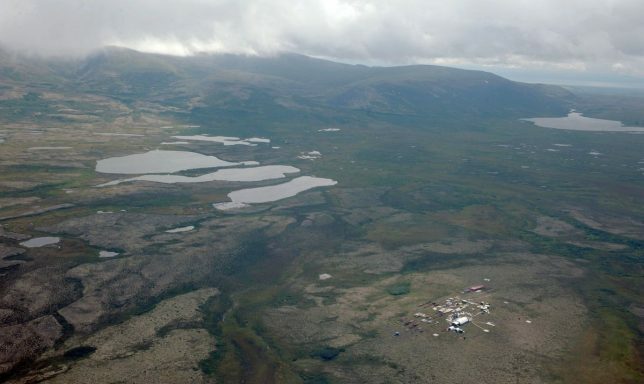 The “Pebble Project,” located in southwest Alaska, is among the most significant metallic mineral deposits ever discovered. The site is located on state lands in southwest Alaska that were accepted by the state as part of a land swap with the federal government, specifically for its mineral potential. In addition, the site has been designated for mineral exploration and development through two public land-use planning processes. 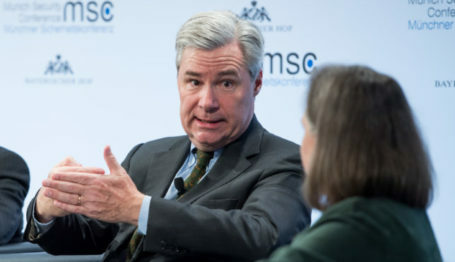 This story of bureaucrats and environmentalists versus the Pebble Mine goes back to 2005, during the George W. Bush administration, through the Obama administration and into the early days of the Trump administration. At last President Trump has signaled an intention to reverse some of the previous anti-Pebble Mine policies: He signed an Executive Order on February 28 directing the Environmental Protection Agency (EPA) to revise its expansive interpretation of the “Waters of the United States” definition. (See the Capital Research Center publication Green Watch, October 2015: “‘Waters of the United States,’ including Creeks and Ditches.”) President Trump signed another Executive Order on March 28 lifting a ban on new mine leases on federal land. The effort to block the Pebble Mine project that occurred in previous administrations constitutes a remarkable tale of agency overreach, unethical behavior, and intrigue. Essentially, the Pebble Project pits the environmental activist industry versus the resource industry. If the mine ends up not being permitted, the anti-minerals playbook, which includes arbitrarily circumventing the Code of the United States, bodes poorly for any other proposed mine in the country. Ironically, many of the minerals and metals that could be mined economically at Pebble are precisely the materials needed to propel the nation’s economy forward with an eye towards “renewable” energy sources: these include wind and solar, and hybrid and electric vehicles, all of which require large amounts of copper and (in the case of solar) exotic rare earth minerals now largely supplied by China. The Pebble Project has the potential to supply as much as one-quarter of the United States’ copper needs over more than a century of production, not to mention additional significant quantities of gold, silver, molybdenum and other minerals. Several important stakeholders, environmentalists and sportsmen are concerned that mining the deposit will despoil Bristol Bay, home of the world’s largest sockeye salmon fishery. 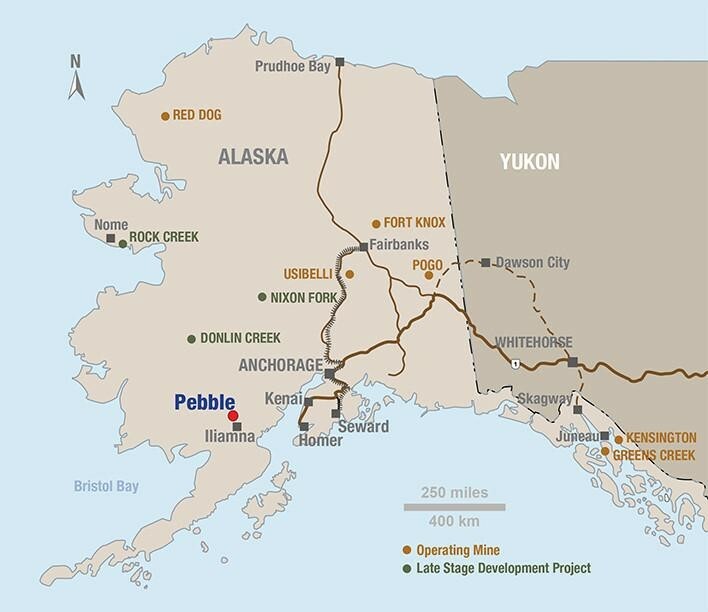 On the opposing side, investors in the Pebble Partnership obviously want the site developed, as it has been zoned for mining by the State of Alaska. Additionally, local economic issues come into play. Unemployment in south coastal Alaska has now reached epidemic levels; according to Pebble, the mine and related construction and support activity should provide around 15,000 jobs and contribute more than $2.5 billion to the country’s GDP each year. But the problem with the development of the Pebble Mine is part of a larger “leave it in the ground” movement, and this eminently minable site has become a proxy for all undesired mining projects in the country. In 2014, the EPA was under pressure from a Native American tribe to veto an iron ore mine in Iron County, Wisconsin. Similarly, an environmental group in Minnesota lobbied against a nickel-platinum-palladium mine in the northeastern part of the state. EPA is also being urged to veto a planned nickel mine in Oregon near a tributary of the Smith River. Current law requires an environmental impact statement which is an extensive assessment of the mine’s potential impact weighed against mitigating safeguards. But anti-mining activists are pushing for a switch to ‘cumulative effects assessments’, which would take into account past, present and future actions in the project vicinity. Under such an approach, a mine could be vetoed because other proposed mines in the region could at some point in the future collectively contribute to deleterious environmental effects. Even the most meticulously engineered mine plan can be undone by a parade of hypothetical horribles. Indeed, the EPA designed a hypothetical Pebble mine in its 2014 Bristol Bay Watershed Assessment, which it then used to pre-empt Pebble under the Clean Water Act. To understand what EPA did, it’s necessary to go all the way back to the 1970s. The National Environmental Policy Act (NEPA), enacted on January 1, 1970, created the President’s Council on Environmental Quality (CEQ). On December 2 of that year, President Richard Nixon, on the advice of the CEQ, created the Environmental Protection Agency. The Clean Water Act (CWA) was passed by Congress in 1972. It establishes the basic structure for regulating pollutant discharges into the waters of the United States, and gives EPA the authority to implement pollution control programs such as setting wastewater standards for industry. According to the EPA, it became involved in the permitting of the Pebble project in 2010 following petitions against the mine from “Native American” tribes. Instead of having the people behind the Pebble do the required Environmental Impact Statement, the EPA substituted its own assessment of the impact of the Pebble Project on the Bristol Bay Watershed which appeared in the form of a lengthy report. In May, 2012, they issued a review draft called “An Assessment of the Potential Mining Impacts on Salmon Ecosystems of Bristol Bay, Alaska.” On April 20 of that year, shares of Northern Dynasty Minerals traded at $5.80, and the stock was considered a fairly conservative investment, and certainly a staple in many Canadian retirement accounts. After all, NAK had major backing from one of the world’s largest mining concerns, Anglo-American, investing over $500 million into startup expenses for NAK. But by May 25, the glow had faded and NAK sold for $2.48. In other words, the draft EPA report had stripped nearly 60 percent of the stock’s value in a month! Savvy investors saw a pattern in the Obama administration’s use of “science” pertaining to highly politicized environmental issues. 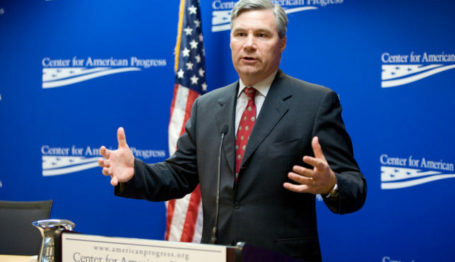 For example a draft report assessing “global climate change” effects on the U.S. used faulty scientific models–even though the chair of the responsible committee knew of the problem, and it had also been noted by an outside reviewer. Nonetheless, the Obama administration proceeded to issue the draft report unchanged. With regard to Pebble, agency documents and statements from EPA employees reveal the existence of an internal EPA “options paper” that make clear the agency opposed the mine on ideological grounds and had already decided to veto the proposal in the spring of 2010—well before it did any so-called “science.” The draft Bristol Bay report was not released until two years later. Much of this information was unearthed through a legal discovery process, similar to demands for documents and other information before a trial. Backers of the Pebble project sued, alleging that EPA had violated the Federal Advisory Committee Act (FACA) by colluding with anti-Pebble activists to preemptively prevent Pebble from even applying for a permit to mine. The documents obtained during the discovery process show beyond doubt that the Pebble Project was being denied assessment by the well-established and accepted environmental decision-making mill known as the NEPA (National Environmental Policy Act) process. In the next installment of “Gold Into Dross,” we expose how the EPA uses a “veto authority” to halt mine developments its leadership opposes on ideological grounds — and the lengths they’ll go to stop it.